Simon & Schuster, 9781439177402, 347pp. A "sharp-eyed look at the complexities of war" (Parade), that explores the inner workings of the Human Terrain System, a Pentagon program that sends civilian social scientists into war zones to help soldiers understand local culture. On the day Barack Obama was elected president in November 2008, a small group of American civilians took their optimism and experience to a village west of Kandahar, Afghanistan. They were part of the Pentagon's controversial attempt to bring social science to the battlefield, driven by the notion that you can't win a war if you don't understand the enemy and his culture. The field team in Afghanistan that day included an intrepid Texas blonde, a former bodyguard for Afghan president Hamid Karzai, and an ex-military intelligence sergeant who had come to Afghanistan to make peace with his troubled past. But not all goes as planned. Vanessa Gezari is the only journalist to have gained access to the lives of people inside this troubled Army program, including the brilliant, ambitious figures who conceived it. 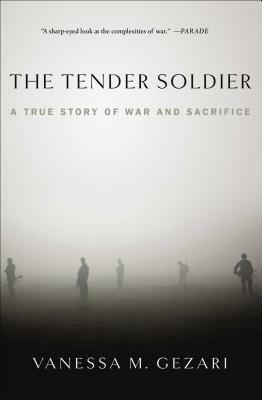 This true story of war and sacrifice will upend your ideas about what really went wrong in Afghanistan.